It’s a big weekend for me. I got a puppy! Bringing Disney home in 1990ish? I have been waiting almost my whole life for this weekend! I had a great dog when I was young in New York. He was a furry little Keeshond named Disney. My evil mother (just kidding… I understand…kinda) gave him away my first day of first grade. I went to school with a dog and I came home to an empty house. Not saying goodbye to Disney has scarred me for life! A dog was part of my motivation for moving out and buying a house. That and the fact that I’m 28 years old and it was time to move out. Meeting the right people at the right place and at right time worked out in my favor and little Georgie, an almost 14-week old German Shepherd, came home with me on Friday, October 3rd. She started training at 8 weeks and is already comfortable in a crate, started learning her manners and basic commands. The best part is she sleeps from 10pm-7am without any bathroom breaks! I consider myself lucky. She has her moments and wants to bite anything and everything but she is a ball of love. It’ll be a huge learning experience for both of us but I couldn’t be more excited. 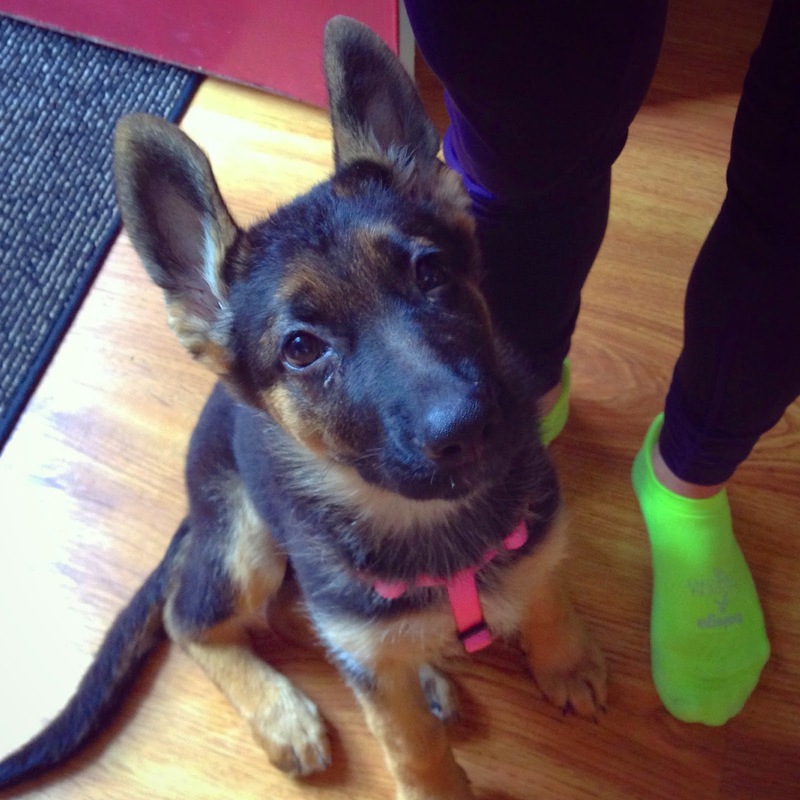 I can't wait until she's old enough to start running with me!